I’m not a tree hugger. Growing up, the conservation movement was probably was in it’s infancy and it didn’t carry much weight with me. When I was involved in Cub Scouts, we would pick up trash along the roads once or twice a year. I remember watching Captain Planet where a blue man encouraged us to save the planet. (Or was the Avatar? I can’t remember) We lived in an area where you didn’t take much to get recycled- you just burned it in your back yard. All of it. In the last ten years, Andrea and I have made sutble changes in our lifestyle in order to be a little more eco-friendly. We’ve changed our light bulbs. We use energy efficient appliances. I drink my water from an aluminum bottle rather than buying plastic ones. We try to keep our thermostat set to where we are not consuming tons of electricity. When it is time to replace my car (10 years old- thank you! ), we’ll be looking for something that gets great gas mileage. I’m still not a tree hugger, but my views on the environment have been changing in the last few years. Here is why- Protecting our environment is not only a conservation issue- it is a faith issue. That’s not too far off from our environment. Humans were given the task of “subduing” the earth…”ruling” over everything in it. Many have taken that as a green light to exploit the earth. We have countless atrocities of Christians “subduing” the earth (genocide of Native Americans, Spanish Conquistadors ravishing South/Central America, out of control pollution, etc.). Yet, maybe what that passage is telling us is that we are in a delicate balance with our environment. When we protect our planet and create a healthy world- we receive health back in return. 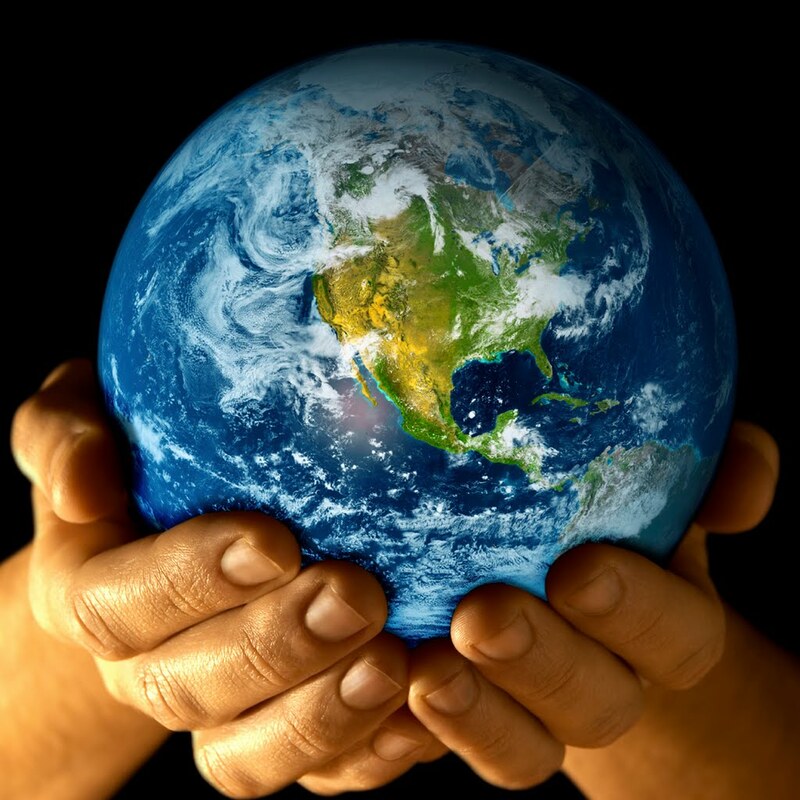 As Christians, we must realize that the entire world is God’s creation- and that we have been put here as caretakers. We should care because when we care for our world- we make it better for our children and grandchildren who will inherit our caretakers job from us. We must remember that humans are not the only ones who long for redemption, but that “the whole creation has been groaning as in the pains of childbirth right up to the present time” waiting for the redemption of our bodies. What are you doing this Earth Day? What changes have you made in your lifestyle to be friendlier to the environment? What are ways the Church can speak out about sins against creation that pollute and harm our world- and harm humanity? Thanks Steve for posting this! I would just add that I might be more comfortable expressing a kingdom viewpoint in a stronger way than the author you quote. We are, actually, only here for a short time, and then we move on. We are travelers in a foreign land. But I do not think this should take away from her and your point. The earth is ours during this extremely important time during which we learn how to love God and love People, in preparation for our eternal existence. It is God's creation and therefore it is a Holy place. And we owe our Earth appropriate respect as such. Thanks for calling us to respect the planet!